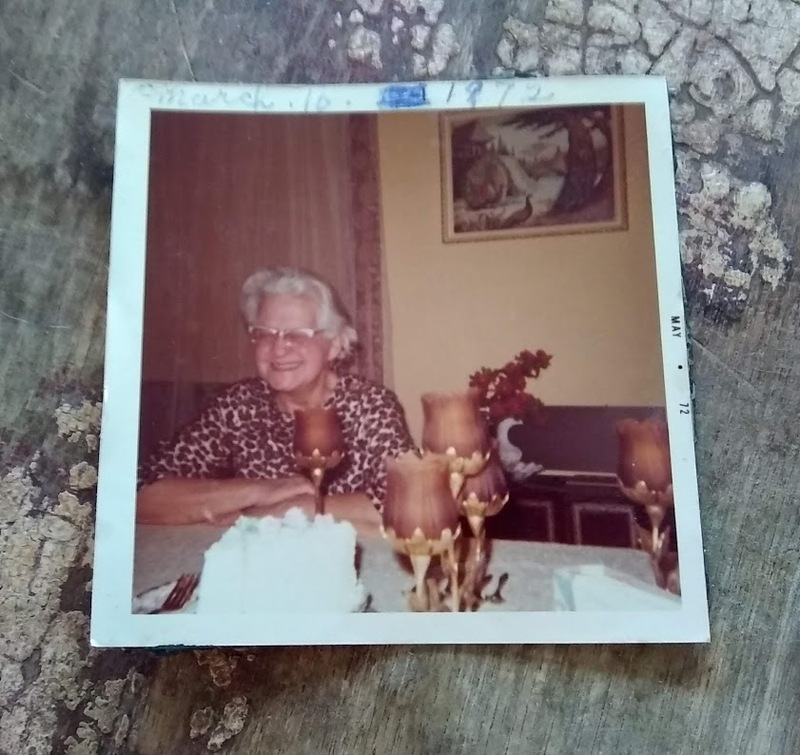 I was a lucky girl who had a Great Grandmother (Emma Lamp) who was not only a sweet lady, awesome with her grandchildren, but she was so artistic and wild with her color choices! 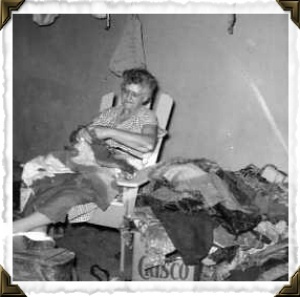 She spent hours braiding rugs and sewing beautiful crazy quilts. The upholstry shop down the block gave her boxes and boxes of scrap fabrics to use in her creations. She also had her favorite outfits she designed- one was a crazy quilt outfit- right down the slippers, the other a leopard print! I adored her- and I miss her. We loved visiting her upstairs apartment in the house my Mom grew up in. It was built by her family when they immigrated from Germany. Mom and her parents lived on the first floor and Grandma Lamp on the top floor. She was also very good at keeping us 'occupied' when necessary. Our favorite game was hide and seek. We always ALWAYS hid in the potato pantry between the kitchen and living room. We were not supposed to stomp around upstairs- made it hard on the ears for people downstairs. What?? Grandma Lamp sewed outfits for herself. This was one of her favorites- leopard print blouse and pants! We just KNEW she would never find us. Tee hee. She would read the newspaper in her rocker while we hid. "Where are you girls? Where have you gone?" followed by a couple of what to us were footsteps. We would stay in that potato pantry forever, giggling behind the curtain under the counter until she finally found us. She was a great sport and made wonderful butter cookies too. It took us a loooonnnng time to figure out what she did while we were 'missing.' We were oh so sly! Grandma Lamp is the inspiration for all my color and dye work. She had such a free spirit and I hope she would like what the sheep and I have created here. I sure miss her!